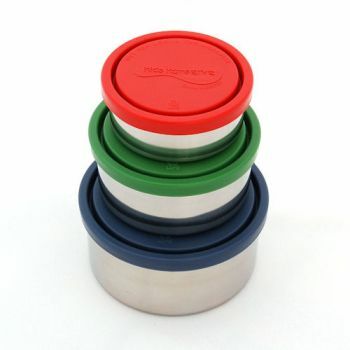 A trio of food grade stainless stain nesting containers. Perfect of waste free lunches and storing left overs in the fridge. 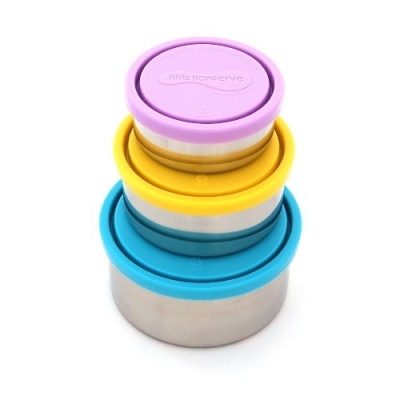 The nesting trio contains three containers that fit inside each other for easy, space-saving storage. 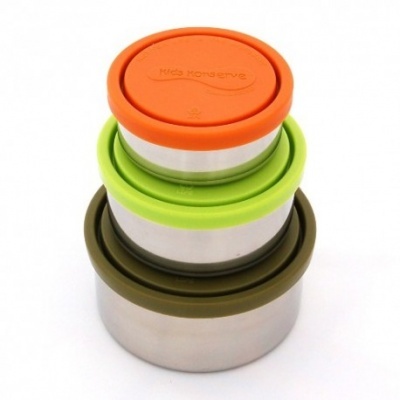 Perfect for waste free lunches and storing left overs in the fridge. 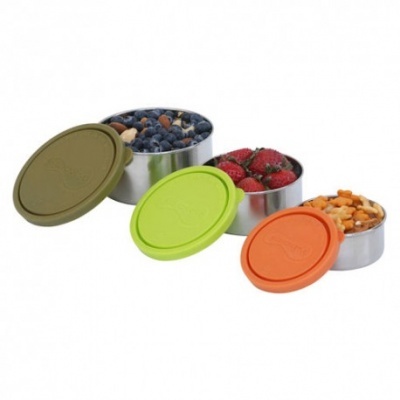 Use with wet or dry snacks while out and about. Yogurt, fruit salad, pasta salad, crisps, hummus, and lots more! 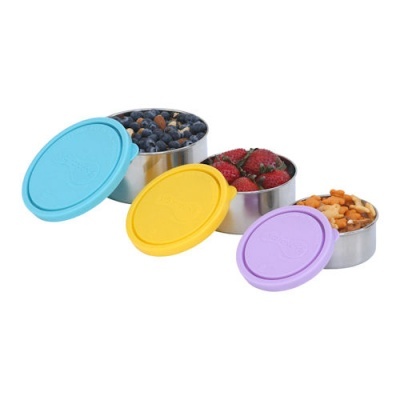 Medium container with yellow lid - 8oz - 10cm diameter x 5cm tall. Dishwasher safe, top rack recommended. 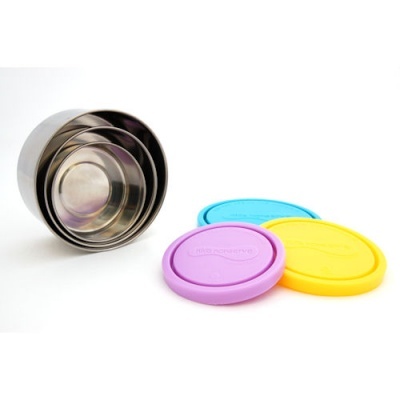 Although the lids are dishwasher safe, research has shown that for long term durability it is best to keep plastics out of high temperature environments like microwaves and dishwashers.